Looking for deals in Medina? Dallah Taibah Hotel is located 164 feet away from Al Masjid Al-Nabawi, immersed in the commercial and shopping district of Medina. The helpfulness of the managing staff, the great receiption, the delicious breakfast, the centered location to the holy mosque and the cleanliness of the place. This air-conditioned accommodations features a shopping mall spread over two floors and free Wi-Fi. Location to Masjid Al Nabwi is just a few steps from the hotel, Room deco and facility was superb and staff are very courteous especially concierge (Azhar) and reception staff. Located 262 feet from Al-Masjid an-Nabawi, Coral Al Madinah Hotel offers accommodations with free WiFi in Al Madinah. 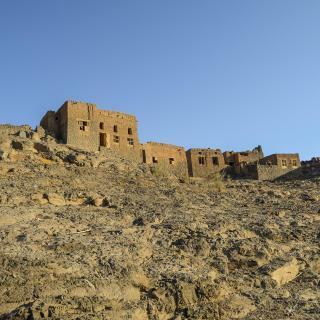 The property is located 328 feet from Al Baqia Cemetry. Exceptional staff, modern room with fully equipped new devices, comfortable beds, very nice breakfast with lots of variety especially honey types. This hotel features air-conditioned rooms with a flat-screen TV and a tea garden serving light snacks and desserts. It is less than a 2-minute walk from the Holy Prophet Masjid. Everything was superb , especially the breakfast ..
On the doorsteps of the Prophet's Mosque in Medina, this richly decorated design hotel radiates spirituality and sophistication. The hotel was located in a perfect location. Room cleanliness was well taken care of. Ideally located adjacent to the Holy Prophet's Mosque plaza, Dar Al Iman InterContinental offers rooms with air conditioning and satellite TV. The King Abdulaziz Library is only a 10-minute walk. Location Staff Early check in Late check out Quick response and solving all the problems. 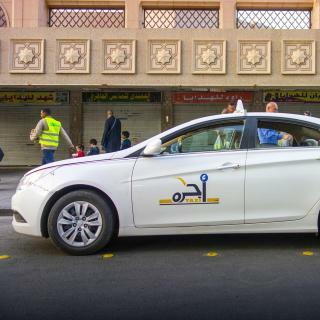 Rawdat Al Aqiq Hotel offers accommodations in Al Madinah. Guests can enjoy the on-site restaurant. Every room at this hotel is air conditioned and features a flat-screen TV. Very good location and very clean..
Millennium Taiba is just few steps from Bab Al Salam, it offers modern accommodations. It features free WiFi in the entire hotel, free private parking and a 24-hour room service. Perfect location for vistors of Masjid e Nabwi, right in front of Bab-us-Salaam of Haram. Featuring free WiFi, Bosphorus 2 Safi Hotel offers accommodations in Al Madinah. All rooms include a private bathroom fitted with a bath or shower. You will find a 24-hour front desk at the property. Very clean. Modern facility. Close to Haram. 3.1 miles from Al-Masjid an-Nabawi, OYO 173 Gelnar Al Raqi is located in Medina and provides rooms with free WiFi. Around an 18-minute walk from Mazaya Mall, the property is also close to Al Noor... Interaction with very humble staff was easy. How much is a hotel in Medina for this weekend? The average price per night for a 3-star hotel in Medina this weekend is £131 or, for a 4-star hotel, £286. Looking for something even fancier? 5-star hotels in Medina for this weekend cost around £316 per night, on average (based on Booking.com prices). What are the best hotels in Medina near Prince Mohammad bin Abdulaziz International Airport? Travelers who stayed in Medina near Prince Mohammad bin Abdulaziz International Airport (MED) have said good things about Millennium Madinah Airport, المحبة للشقق المفروشة, and Pearl Palace Hotel Suits. Which hotels in Medina offer an especially good breakfast? For hotels in Medina that serve highly-rated breakfasts, try Dar Al Iman Suites Madinah, The Oberoi Hotel, and Dallah Taibah Hotel. Which hotels in Medina are good for couples? These hotels in Medina are highly rated by couples: Elaf Grand Al Majeedi Hotel, Dallah Taibah Hotel, and نرسيان طيبة. How much is a hotel in Medina for tonight? On average, it costs £70 per night to book a 3-star hotel in Medina for tonight. You'll pay around £163 if you choose to stay in a 4-star hotel tonight, while a 5-star hotel in Medina will cost around £405, on average (based on Booking.com prices). 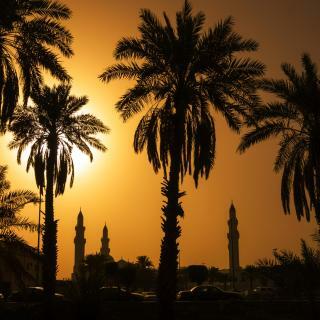 Which hotels are the best ones to stay at in Medina? Dallah Taibah Hotel, Elaf Grand Al Majeedi Hotel, and نرسيان طيبة are some of the popular hotels in Medina. Which hotels in Medina have nice views? 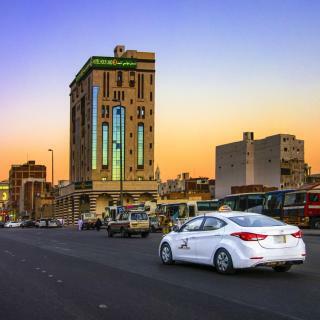 Dar Al Taqwa Hotel, Elaf Grand Al Majeedi Hotel, and Dar Al Iman InterContinental got great room view-related reviews from travelers in Medina. How much does it cost to stay in a hotel in Medina? On average, 3-star hotels in Medina cost £83 per night, and 4-star hotels in Medina are £162 per night. If you're looking for something really special, a 5-star hotel in Medina can be found for £195 per night, on average (based on Booking.com prices). What are the best hotels in Medina near Al-Masjid an-Nabawi? Some of the best hotels in Medina near Al-Masjid an-Nabawi include Dallah Taibah Hotel, Elaf Grand Al Majeedi Hotel and The Oberoi Hotel. Which hotels in Medina are good for families? Many families visiting Medina loved staying at Elaf Grand Al Majeedi Hotel, نرسيان طيبة, and Dallah Taibah Hotel. Honored by Al-Masjid Al-Nabawi, one of the holiest mosques in Islam, Medina is the 2nd most important Islamic pilgrimage site after Mecca. Surrounded by hills that have seen hundreds of people seek refuge in its oasis, this city has developed a range of modern facilities to host the pilgrims from all over the world. 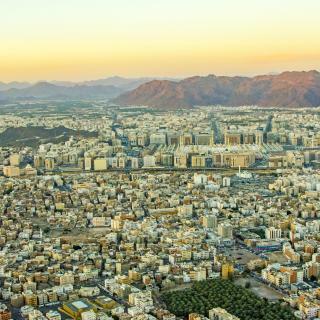 Formerly named Yathrib, Medina is affectionately known as both the "Prophet’s City" and the "Radiant City". The Prophet Muhammad came to the city in the 7th century, seeking refuge from his opponents. According to Muslim theology, the last chapters of the Quran were revealed to him here. The site where the Prophet lived is now occupied by the Al-Masjid Al-Nabawi or "Prophet’s Mosque". Although the mosque has changed and expanded over the years, the green dome is part of the original sanctuary. 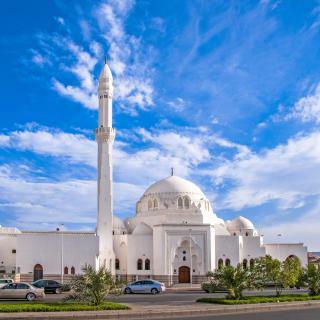 Places like the Masjid Quba mosque, the Masjid Al-Qiblatain mosque and the Al-Baqi Cemetery also represent important holy sites in Medina. Whether you arrive directly at Medina’s Prince Mohammad Bin Abdulaziz International Airport or come from Mecca or Riyadh, check out the accommodation deals on Booking.com before traveling. Medina for all muslims hold a special place in their heart. Medina is the second sacred city of Islam after Makkah and also the resting place of our beloved prophet(saw).There is so much history of the strugles of Islam and so much blessings here that visiting Makkah and Medina is the dream and wish of every Muslim by faith. There is a lot of fast food, not really a lot of real food. There is a lot of fast food, not really a lot of real food. We ate at various Bengali restaurants and we also dined at a Malaysian restaurant once (it was in a market and I can't remember the name but it was very beautiful and the gentlemen working there were very nice). 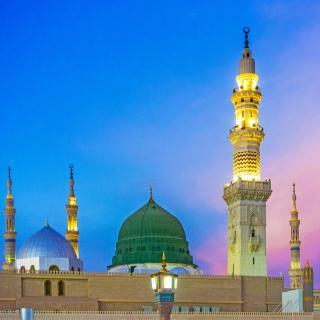 Medina/Madinah is a wonderful place with the prophet's (pbuh) mosque there, and it is amazing, huge Masjid Al-Haram area. I think whenever I went to the Masjid, there were around half a million people there. Madinah people are friendly. It is slightly quieter than Makkah. But there is still so much to see, so much history and old places and buildings to visit. My visit was more spiritual rather than touristy. Great hotel in the heart of Madinah. Check in was smooth and the staff were very welcoming. We were provided great rooms which were very spacious and also had great views. 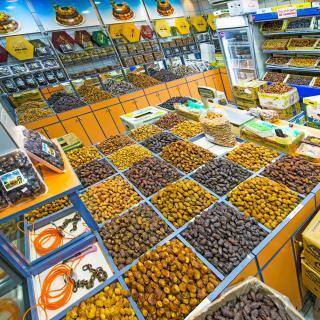 The location is extremely close to Masjid Nabawi and is great for families. The rooms were clean and comfortable. Lifts are small however there are 6. The lobby is great and there is also a cafe. Location as mentioned is great and it takes around 60 seconds to get to the Masjid. Shops and food are close by. Overall excellent hotel, location and value for money. Undoubtedly, the best thing about this hotel is the proximity to the Haram. Their housekeeping staff are also quite friendly. They even offered to bring a baby cot to the room even though I hadn’t requested it. The water in the shower is quite warm, which is especially great for the winter months. They also allowed me to check out late, which was great. Very close to haram, just a few turns, 4-5 mins and you are inside. Awesome value for money. It is right next to the female gates and thus very helpful if you have females traveling along. The hotel food especially the pizza is really good ans cheap. They gave checkout time till 3pm. The suite room is bigger than expected and along with 2 washrooms. 1 attached with the master bedroom with a partial haram view on the 9th floor. The house keeping staff are the best I have seen lately in any hotel. Very welcoming and attentive. Location is perfect. Right in front of haram. The hotel is brand new and extremely clean. Front desk staff are very friendly and polite. Breakfast buffet is one of the best I have had. Great place for family stay. location is excellent.staff of the hotel were helpful and cooperative.May Allah swt bless all of them for their services.I will be glad to stay again in this hotel in my next visit to Al Madinah Al Munawarrah. Big and clean hotel, near to haram and ladies gate. Nice room and beds, big and clean wash room with stuff. Electric kettle, tea bags were already in the room. Buffet was awesome in breakfast. I like the welcome snack buffet ,the welcome red flowers ,the arabic coffee in the room and the fast check in . very close to haram . Dallah taibah is The best hotel in madinah . The location of the hotel was amazing, right by the women gate, near restaurants and shops. Very convenient. Check in, check out, and luggage services were quick. Room size, clean room, nice view, best location for Haram Visitors and shopping area, toilet tools was there and easy access to the hotel. the experience in totality was great.